Turn your Thanksgiving leftovers into a tasty soup! This recipe comes together in under 30 minutes. It’s perfect for a quick lunch, dinner, or a snack to enjoy on a cold day. Use your leftover turkey or chicken for the meat in the soup. Throw in some corn, beans, and whatever veggies you may have leftover. Then you cut up some corn tortillas and cook them until they’re crispy. 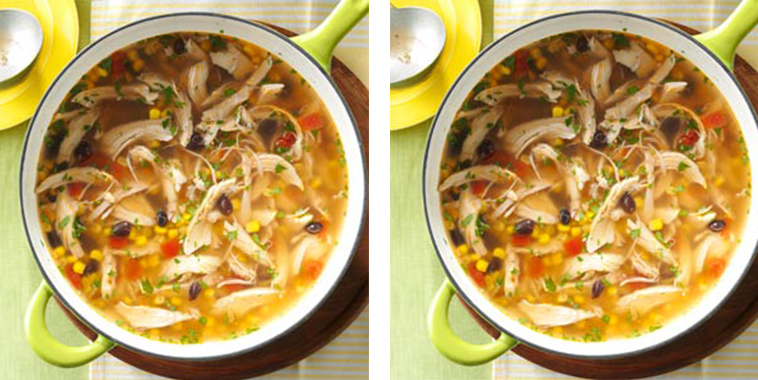 Sprinkle the tortilla chips on top of the soup and you’ll have a delicious turkey tortilla soup made from leftovers!